As the child of an avid sewer, I've been surrounded by sewing machines my entire life. 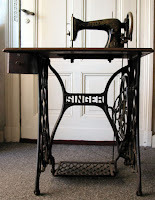 The number of antique sewing machines in our attic is my minimalist mothers' secret shame. 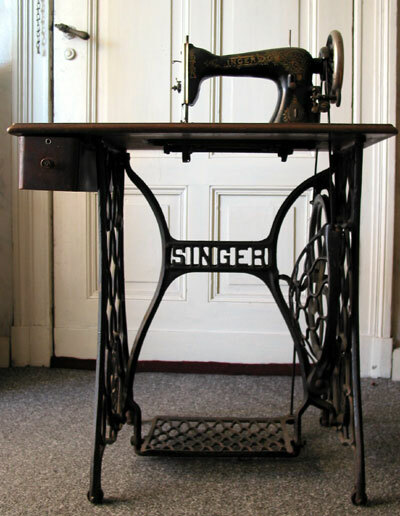 So naturally, antique Singer machines are our holy grail. I came across one at restaurant the other day and had to snap a picture. As I am a recent college graduate living (temporarily) at home, I'm always looking for decor inspiration for my future apartment. 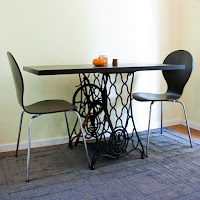 I'm in love with this idea of turning old sewing machine tables into dinner tables or desks, by simply replacing the tabletop with a colorful or textured surface! Google images had lots of pictures and inspiration. 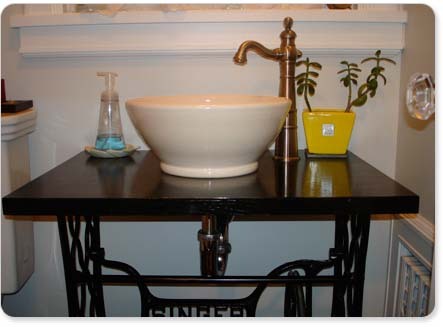 Check out my favorite pictures below, some quite unusual and unique uses!